"Their story would make a great movie," according to Delia Brelsford Shiflet. She's talking about the story of her parents, Mary Margaret Womack and Joe Jack Brelsford. The story starts in Oakhurst when Mary's parents, Bertha L. and William A. Womack, moved into the new bungalow at 2508 Primrose in 1928. 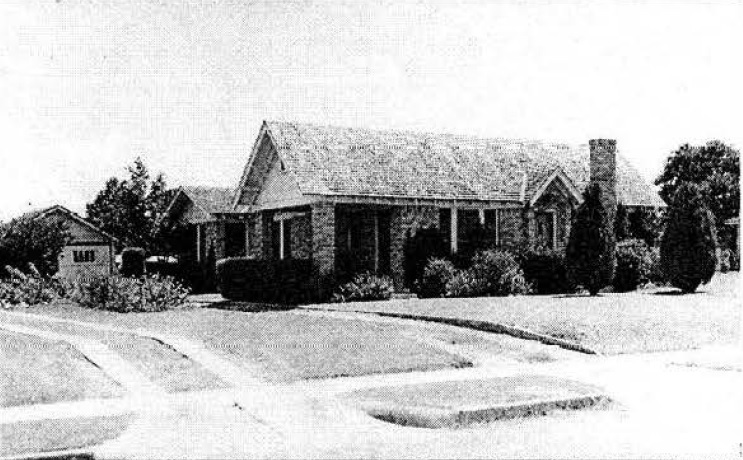 The Womacks were the original owners of the house, which was built in 1927 and was featured in a booklet, "Our Home in Fort Worth" and on a postcard. The house was theirs for $4,500. with baby James, John Carver, Jr., and mother, Bertha Womack. 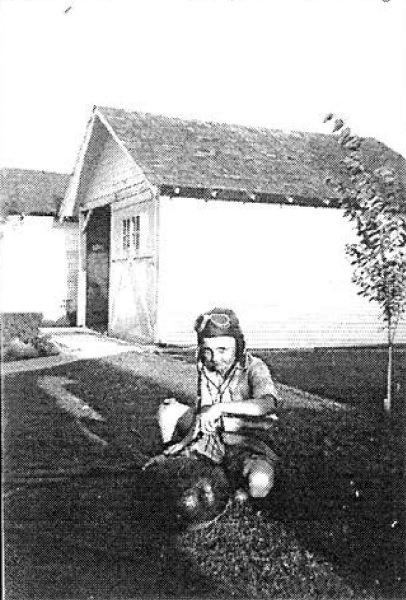 Mary Womack was nine years old when she moved to Oakhurst. She had an older brother, John Carver, Jr., who was her mother's son with her first husband, John Carver, who had worked for the Rock Island Railroad. Carver was killed in a work accident, and Bertha Carver later married his good friend, William A. Womack, who also worked on the Rock Island as a fireman. John and Mary had a younger brother, Bill, and, eventually, another brother, James. The Womack kids attended Oakhurst Elementary and Riverside Elementary Schools. 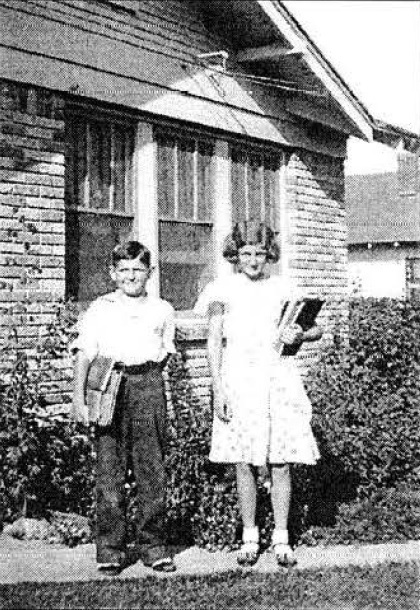 Bill and Mary Womack before school in 1933. Their home in Oakhurst was a typical style for the early part of the neighborhood's development. The family took advantage of the bountiful sandy loam soil and created a rose garden on the east side of the house. photograph. Note the roses on the east side of the house. Like most kids their age, Mary and Bill Womack and their friends rode bikes, sat in the side porch swing, and went swimming. Mary said she often skated from Primrose to Sylvania then up to Yucca and back home. "I wore my skates out!" she said. "We had fun in Oakhurst," Mary said in a recent interview. Now 94, she remembers all the details: "We went barefoot a lot and tried to avoid all the mosquitoes. We had picnics in the backyard where my parents had set up a table and benches. Every July 4th, we went to Sylvania Park for the fireworks." The second half of Mary's childhood and adolescence was in the 1930s, when the Great Depression made finances very hard for many families. She remembered that "people would beg at the door." In 1934, Joe Brelsford saw Mary coming down the steps at Riverside Christian Church. He was sixteen and she was fifteen. Joe, a Poly resident, famously told a friend that someday "he would marry that girl." According to his obituary, Joe introduced himself to Mary the day he first saw her and "they became inseparable." After graduating from Paschal High School, Mary attended Texas Wesleyan University and then went to TCU on a scholarship where she was a Journalism major. She graduated in June 1941. Three days after Pearl Harbor, in December 1941, Joe Brelsford joined the Navy and shipped out to his base in California. He later served on the U.S.S. Pennsylvania. Here the movie part continues. In 1941, Mary, deciding that she might have let a good thing get too far away, took the train with Joe's mother to San Francisco. 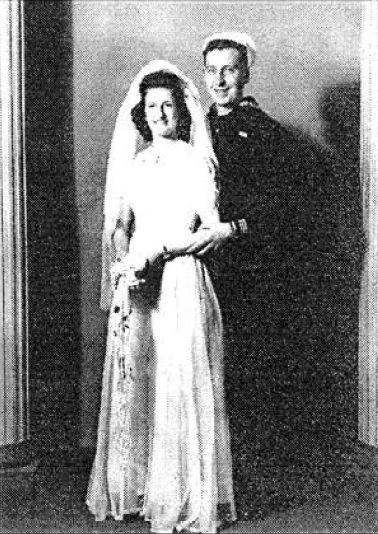 There, in October 1942, Mary and Joe were married by a Catholic Navy chaplain, she in her traditional white gown and he in his Navy blues. in October 1942 in San Francisco. While Joe went to war, Mary went to work for the government in the Foreign Intelligence Broadcast area. Her job was to stay up all night (from 12:30am until 8:30 or 9:00am) and make reports to Washington on what Japanese propagandists were saying in their radio broadcasts. At one point, Mary heard the Japanese announcer say her husband's ship had been sunk. "That was a bad time - I cried," she remembered. Happily, the story turned out not to be true. Mary and Joe were stationed in California, Washington, Florida, Massachusetts, New York City and Virginia during World War II. Meanwhile, the Womacks on Primrose Avenue were carrying on. Brother Bill was 20 when the war started. W.A. and Bertha Womack were raising younger brother James, who was 8 at the beginning of the war. Mr. Womack died in 1956; Bertha lived on at the Primrose house until her death in 1975.
open a watermelon in the early 1940s on Primrose. 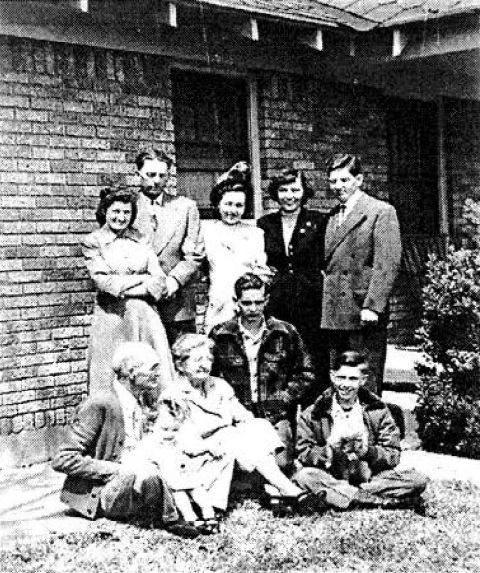 Mary and Joe moved back to Fort Worth after the war ended in 1945 and lived briefly in Meadowbrook before settling in Rolling Hills, on the South Side. Joe worked 30 years on the engineering staff of Chance Vought Aeronautics (LTV/Lockheed Martin). He and Mary raised two children, Delia Ann and Joe Scott Brelsford. 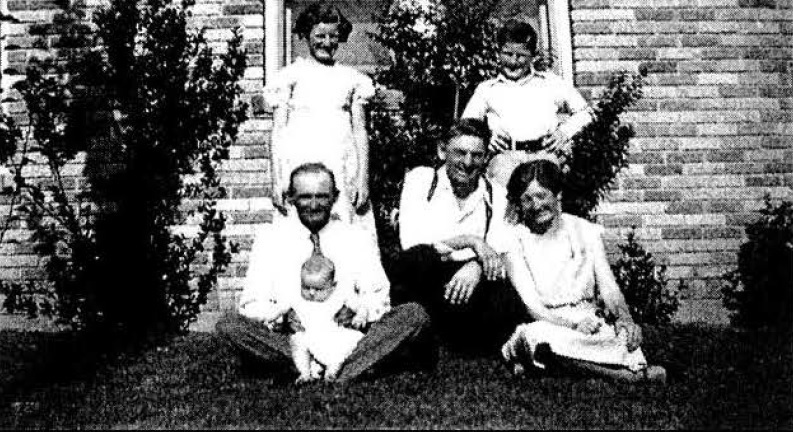 The Womack family in August 1949 at 2508 Primrose. By then, Bertha and W.A. had grandchildren. For almost 50 years, 2508 Primrose was the center of the Womack family's life. They celebrated weddings, Christmas and general life there. For many years, a dinner bell brought from Kentucky by Mary's family was installed on the east side of the house. It's now with Bill Womack at his home in Midland. Mary Margaret lives with her daughter, Delia, in south Fort Worth. She is still vibrant and full of memories of life in Oakhurst. James is retired and lives with his family in San Antonio. The Primrose house and the Womack family made a big impression on Delia. She remembered: "Going to my Grandmother's house on weekends was an important part of my childhood. I remember playing in her front yard and rolling down the little slopes at the foot of her yard onto the sidewalk. For some reason I clearly remember watching "The Naked Jungle" with Charlton Heston (about the killer army ants in the jungles) back in her den, curled up on her couch with the swamp cooler running. Most of all, I remember her making me meatloaf and her legendary peach cobbler. When she passed away in 1975. my mom asked me if there was anything of hers that I would like to have, and out of all her belongings, I chose her old, dented peach cobbler pan. It might not have had any monetary value, but it was the one thing that so many of my memories of my Grandmother revolved around. No matter what the occasion - family gatherings, Sunday dinner, Christmas, or whatever - that pan was on the table, filled with her homemade peach cobbler. I still have that pan, and it's one of my most prized belongings." reminders of many good times with her family. Even though no Womacks have lived at 2508 Primrose for almost 40 years, "we still drive by and look at the house when we go to Mount Olivet to visit the graves of my family" says Delia. "We're glad the house is being taken care of," she said. The present owner is Margaret Hamm, who has three other generations of her family (daughter, granddaughter, and great-grandchildren) also living in Oakhurst. Like so many other Oakhurst homes, 2508 Primrose Avenue is a place in the heart because of the people who lived there, the families and lives they created, and because it launched them into extraordinary events. 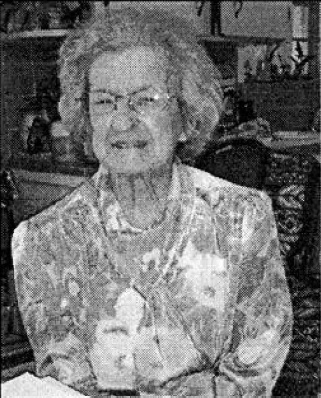 Information for this story was drawn from July 2013 interviews with Mary Womack Brelsford and Delia Brelsford Shiflet and from various Brelsford family documents; Delia Shiflet kindly lent Womack family photographs of life on Primrose from the 1920s through the 1950s. This story originally appeared in the August 2013 edition of the Oak Leaflet. Located in front of the old post office, next to Race Street Barber Shop.